The 'manja' side of Creme has been unleashed during our 10-day absence. When we came back from Nepal, we had a pleasant surprise seeing the change in her attitude. She now likes to hang out with us more, even if it involves squeezing herself in that tiny space between my and Vincent's pc. The space is not that big. 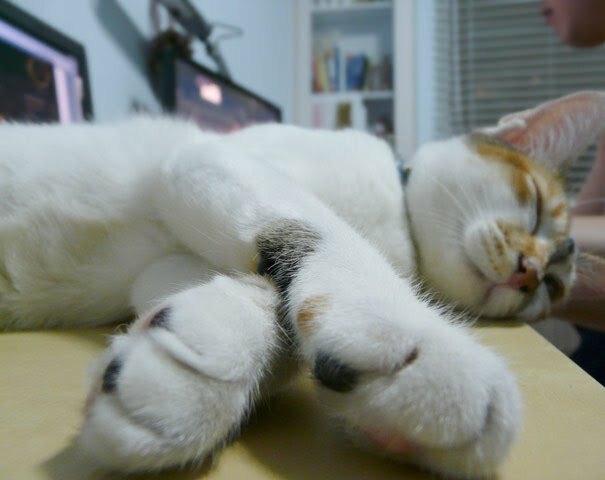 Her paw accidentally pressed Vincent's ESC button while he was playing his pc games! She also doesn't mind sleeping on this tight space without any cushioning. And she becomes more curious. 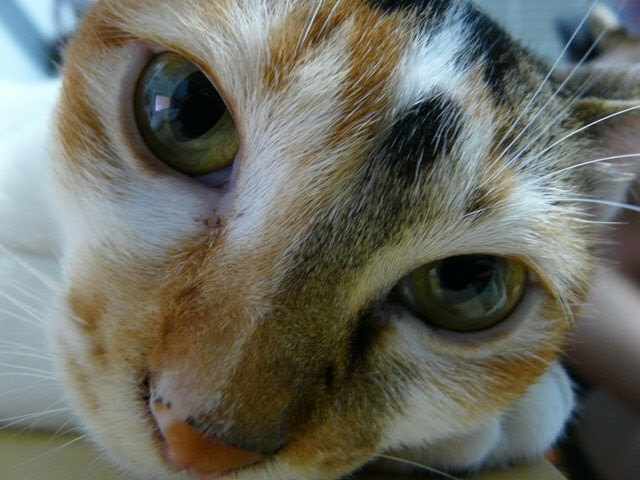 It's the first time she looked into the camera lens so closely. FYI, I didn't zoom in to take the shot below. She posed for me!